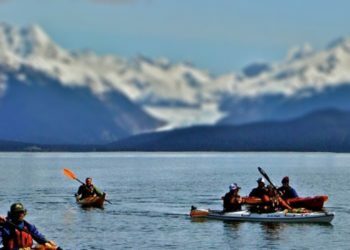 Experience the raw beauty of the Lynn Canal up close and personal on the Inside Passage Kayak, an exclusive opportunity to explore these northern Inside Passage shorelines by paddle. 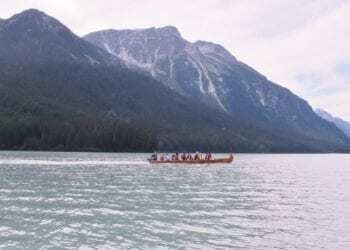 This active tour takes you to the shorelines of Haines, just south of the port of Skagway, for one of the most breathtaking shore tours Skagway has to offer. From Haines, launch your boats and keep your eyes peeled for stunning glaciers in the distance, and Alaskan wildlife including eagles, seals, porpoises, and more! 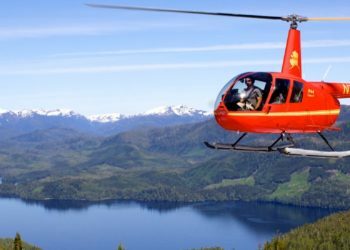 Along the way, you can count on your guides to keep you entertained with extensive knowledge about the terrain, the animals, and all other parts of Alaskan life that make them call the rugged landscape home. Don’t forget your cameras, this is one of the best shore tours Skagway can offer for amazing photo ops! Your Inside Passage Kayak adventure begins when you meet your guides in Skagway. 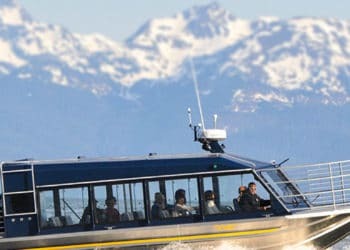 From here, you will hop on the Fast Ferry for a quick and stunning ride over to the picturesque town of Haines. Upon arrival, it is just a short walk from the Fast Ferry dock to the bay where you will launch your kayaks. Here, your guides will determine which style of kayak is best suited to the conditions and talk you through everything you need to know for this portion of the tour. Then you are off into the ocean waters for a gorgeous paddle, with a multitude of wildlife opportunities, including seals, porpoises, eagles, and even the occasional humpback whale! 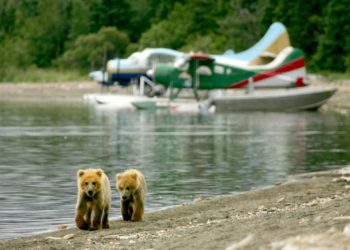 Trust that you will be accompanied throughout the trip with your guides lengthy knowledge of the area and it’s wildlife, on one of the premier shore tours Skagway has for viewing and understanding the wildlife and beauty of the Lynn Canal! When you arrive back in Haines, you will remain on your private beach for a pristine waterside picnic, before ending your Inside Passage Kayak with another beautiful ride on the Fast Ferry back to Skagway. Looking to see more of the inside passage, but don’t want to paddle yourself? Check out our exhilarating Ocean Raft Adventure, an adrenaline inducing excursion through the Lynn Canal. Just added to the line-up for 2018! The minimum age to participate on this Skagway shore excursion is 8 years old and all participants must be under 300lbs. Participants must be able to paddle for 2 hours and be under 300lbs. Guests over 6'6" or 275lbs. may not fit comfortably inside the kayaks. What about restroom facilities along the way? Answer: Restrooms are available on the dock before you leave for your tour, on the ferry to Haines, and on the dock upon arrival in Haines. Answer: Your guides will meet you at your cruise docks. More detailed instructions will be included in your confirmation email, but be sure to provide proper cruise information in your reservation. Will the trip still operate if it is raining? Answer: Because much of SE Alaska is a rainforest, these trips do operate rain or shine. If weather conditions are unsafe, the trip will be canceled and we will provide a full refund. This can happen on kayaking trips from time to time and will be typically related to sea or lake conditions, not rain. Do I need previous kayaking experience? Answer: Nope! This trip is rated as 'Easy' or 'Moderate' and we can accommodate even beginner kayakers. It is recommended that you are fit enough to paddle for 2 hours.